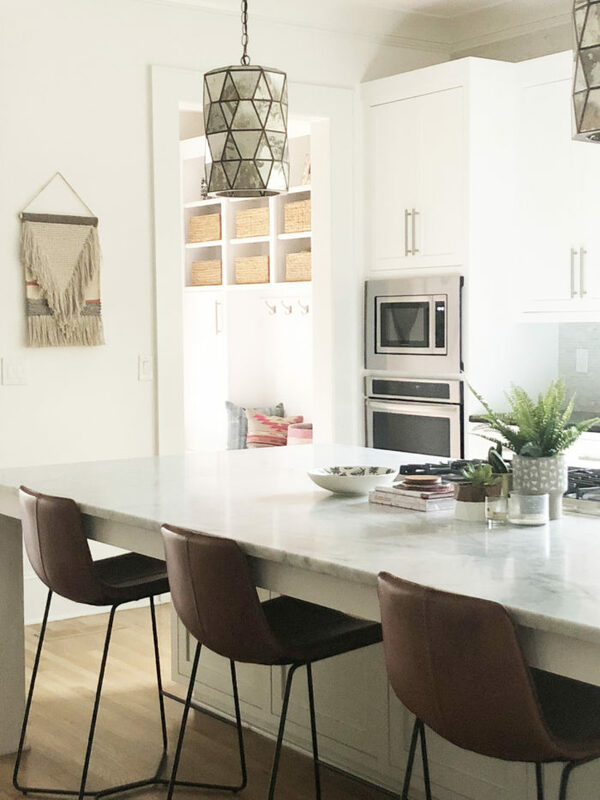 Note: Home Tour is a new series where we’ll go inside cool homes, condos and apartments and learn from their owners how they approached designing the space. 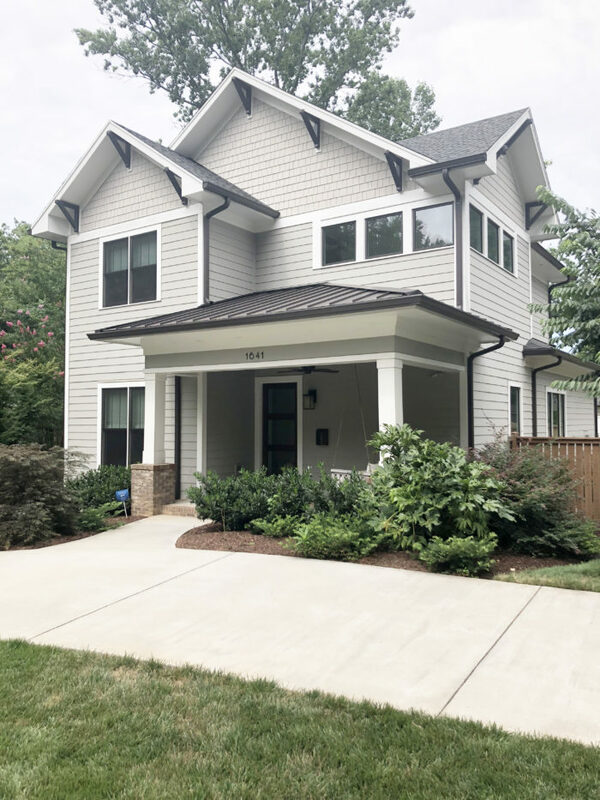 If you’d like to let us into your home, please send two photos and a sentence on why to hi@charlotteagenda.com with subject line HOME TOUR. 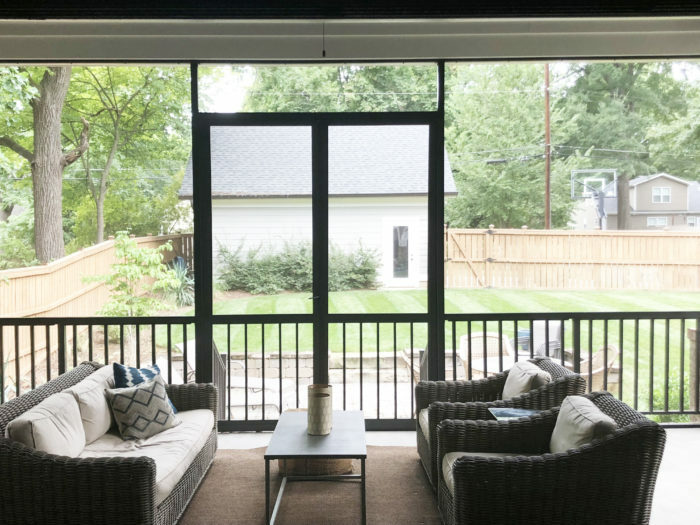 A local couple with a love of modern design and a serious sense of style gave the Agenda a peek inside their 2,650-square-foot Plaza Midwood home. 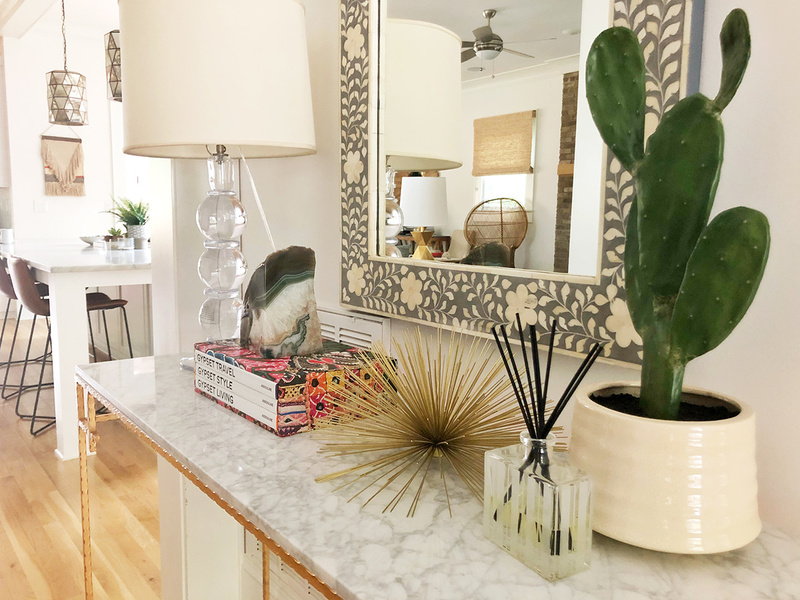 Here’s a look at the home’s coolest touches, their favorite spots to shop, and what makes this space extra inviting. 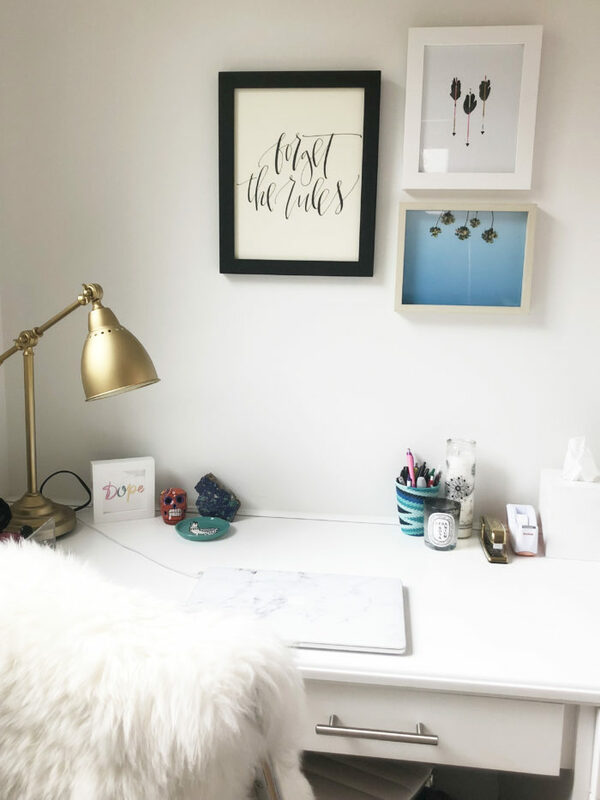 Jobs: Orrell owns the SouthPark women’s clothing boutique, Boem, and runs her popular lifestyle blog, MissOrrell.com—where she’s currently documenting building the couple’s newest home in Cotswold. Breeden works as an IT consultant for a DC-based company and owns Ultimate Crossfit in South End. Their story: Orrell, a Charlotte native, met Breeden in 2009. 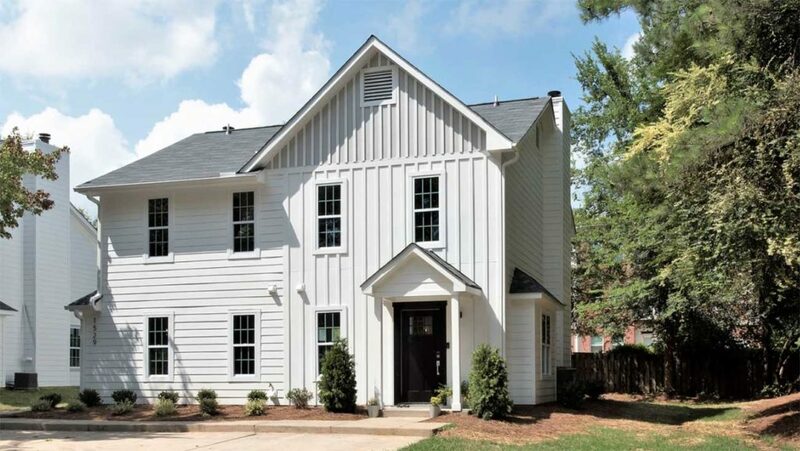 Breeden, who’s from Northern Virginia, owned a home in Plaza Midwood in which the couple initially lived before they spotted a nearby old home for sale on a large corner lot. “We were living about ten doors down,” says Orrell of the older home, which was in disrepair. 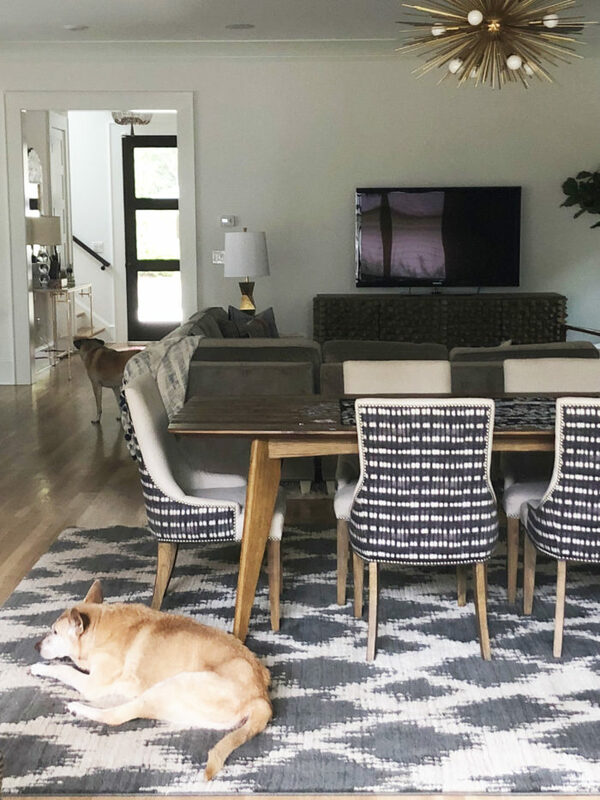 After watching the price drop the pair eventually made an offer that stuck—and jumped into designing their new home for the lot. 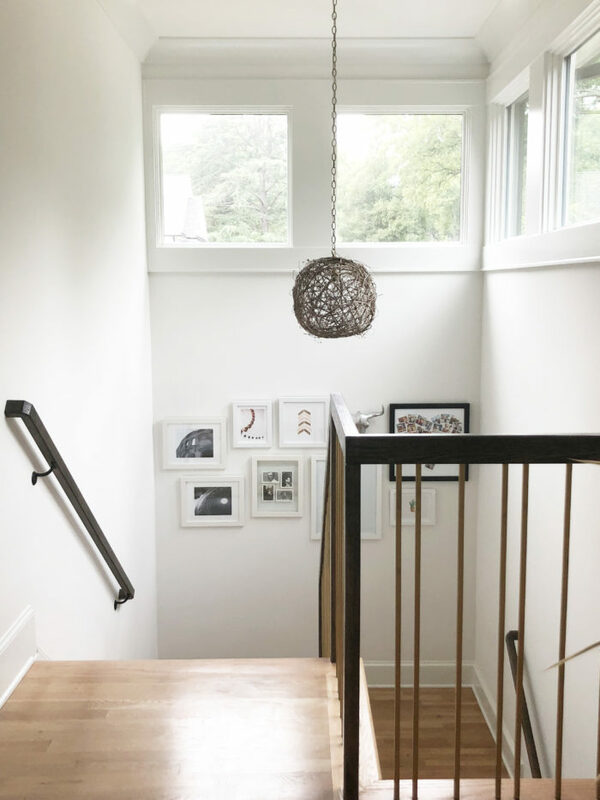 Open door policy: The home’s living space feels especially large when the couple opens the 15-foot glass telescoping door that disappears into a wall and opens the room to the screened-in porch. “We love being outside and it opens it up so that it feels that way,” says Orrell. Luxe touch: “One of my favorite things we have is a steam shower,” says Orrell. 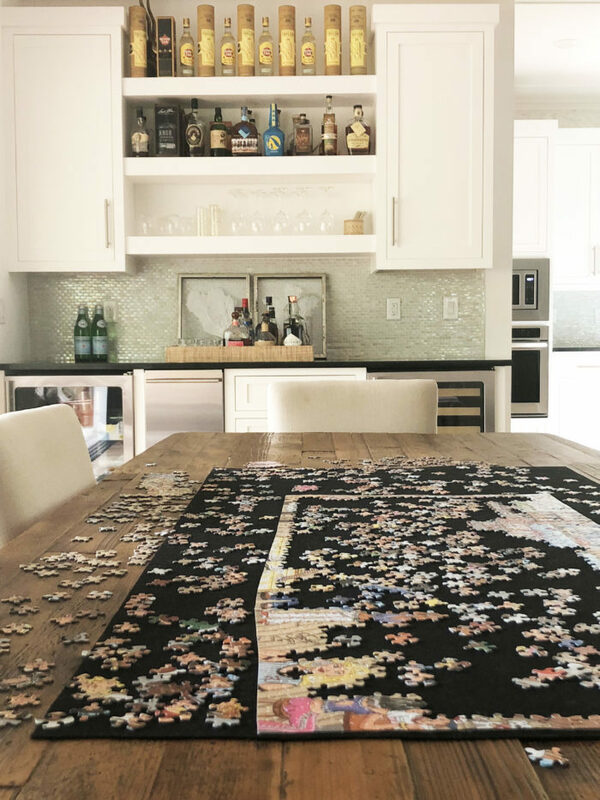 “It was something Lance really wanted and I’m glad we have it now.” The home has other luxury features as well including a giant marble island—”This was the largest single slab island Banister had ever installed,” says Orrell—and an oversized built-in bar complete with beer and wine refrigerators. 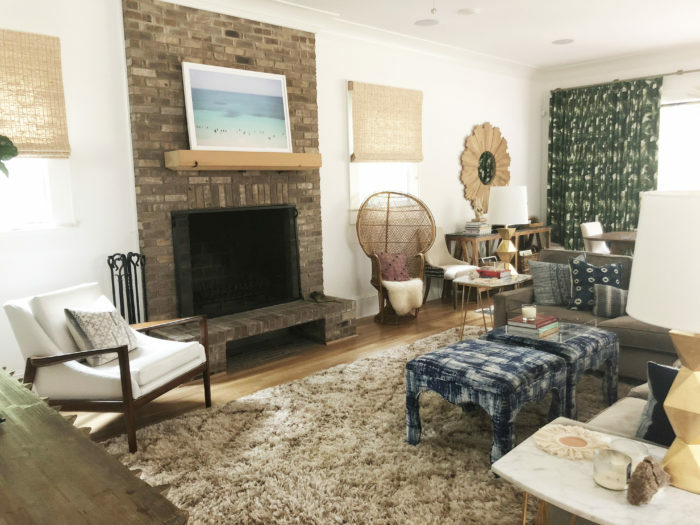 Warm up: “My favorite things in the home are the fireplace and the surround sound,” says Breeden. 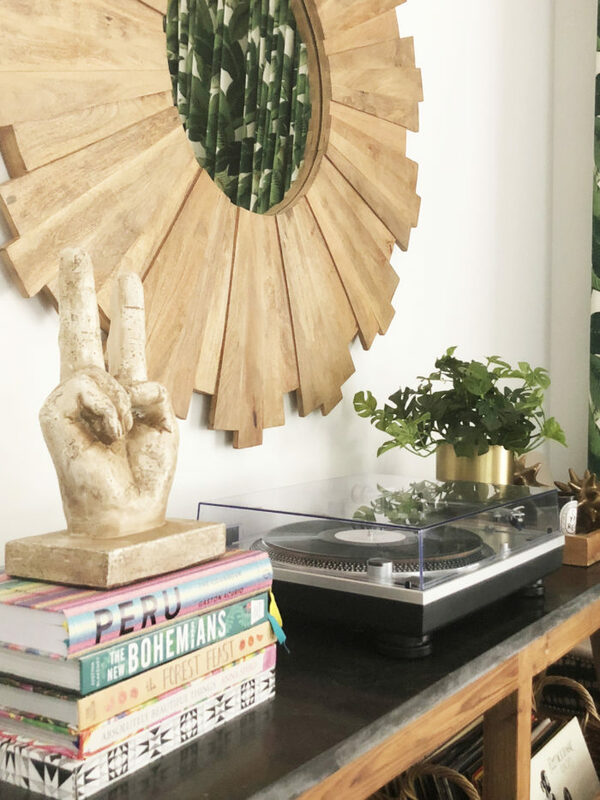 Both features come with extra-cozy touches: The fireplace is oversized and wood-burning, and the surround sound is hooked into the couple’s record player. 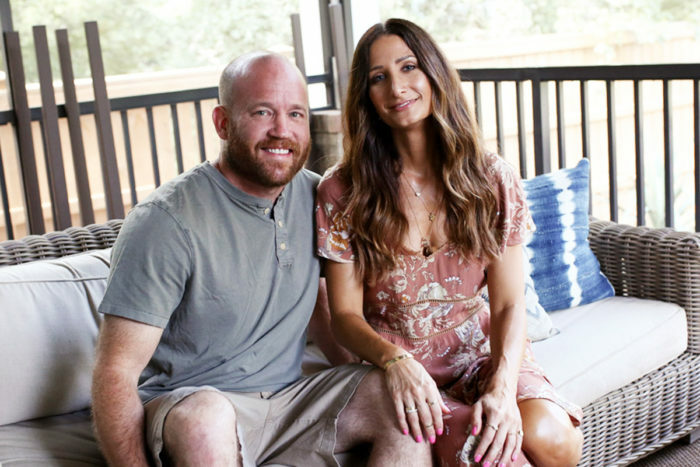 Mix it Up: As Orrell is sourcing decor for the new home the couple is building, she’s finding that it’s much easier than even four years ago when they built this home. At the time, she asked Beth Keim from Lucy and Company for help. The result is a space that features a mix of custom-made items like the long, wooden dining table and L-shaped couches, as well as items Orrell improvised on—searching for and creating herself. The living room’s peacock chair was a $40 Craigslist find. 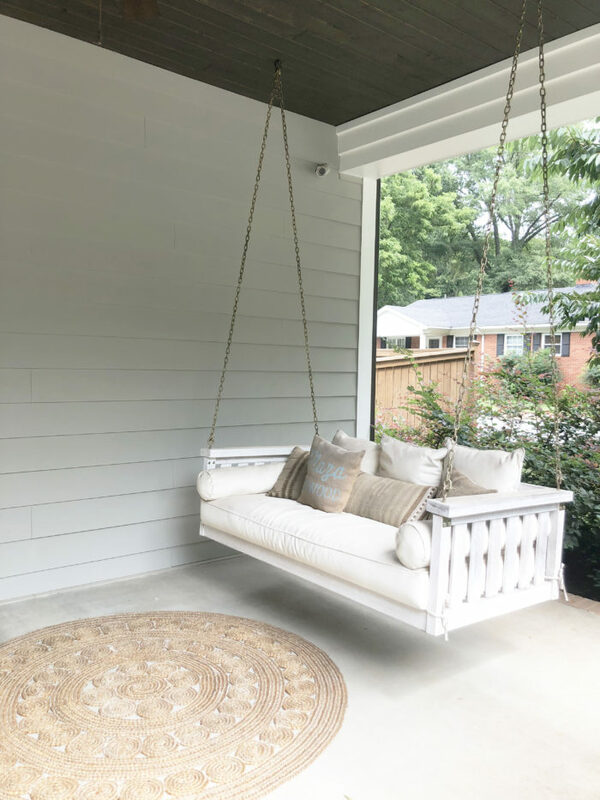 The home’s throw pillows come from Arizona Etsy shop, Boho Pillow. And the lamp is Orrell’s office is an IKEA lamp she spray painted gold. 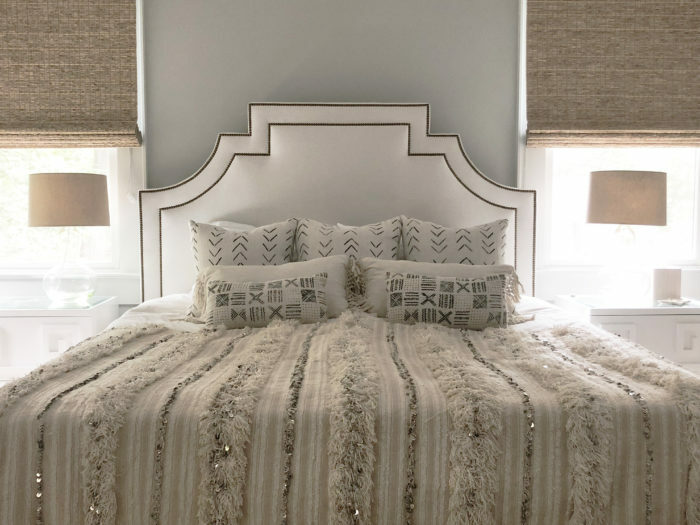 Be Our Guest: When it came to the home’s guest room, Orrell wanted to design on a budget. 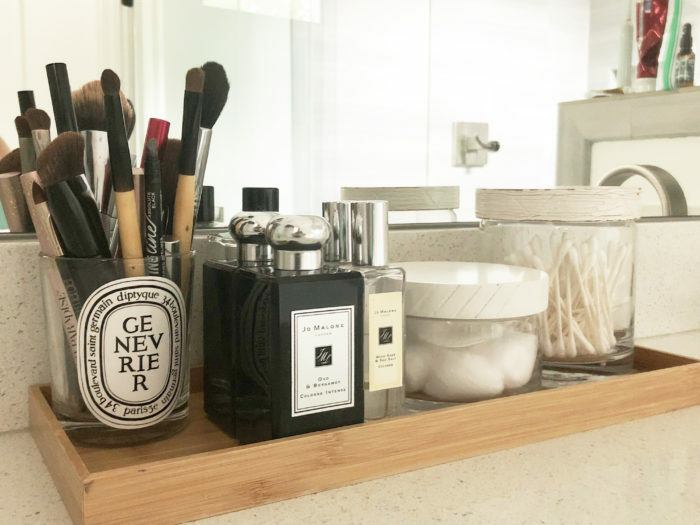 “With everything I think I spent less than $2,000,” she says. 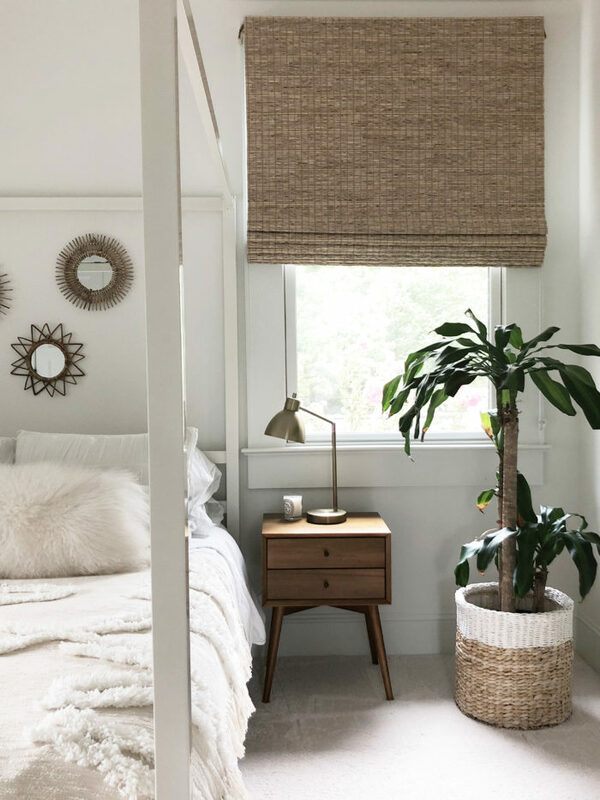 The bed frame is a from Wayfair.com, the nightstands are from West Elm ($299), the lamps and bench are from Target, and the mirrors above the bed are from Urban Outfitters. Bright Side: Much of the home’s color comes from its art and rugs. 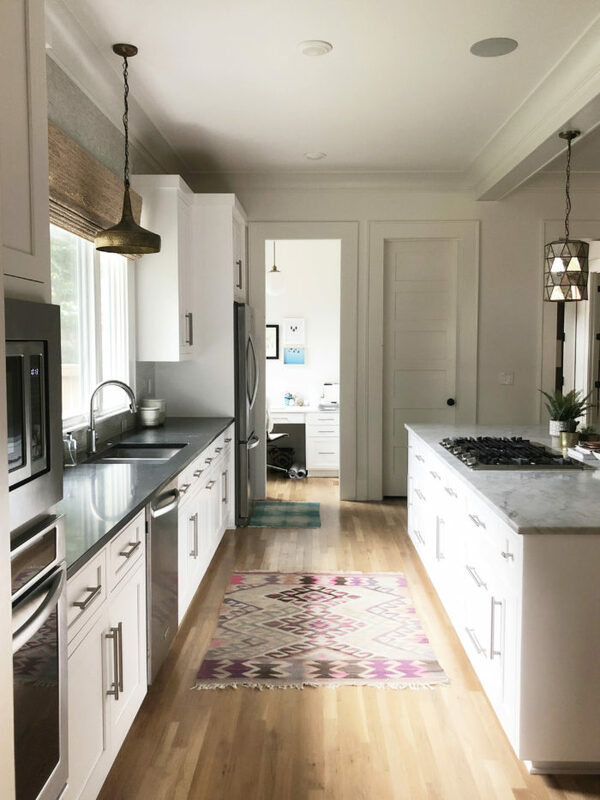 Many of the rugs are Lulu & Georgia, but the vintage ones in the kitchen and entry way are both from Plaza Midwood’s Slate Interiors. 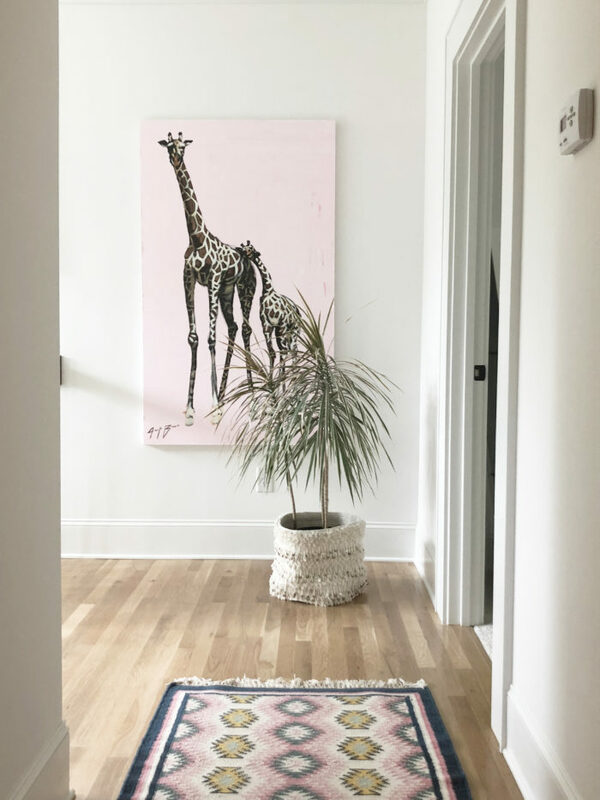 Most of the home’s art is from the online site, Minted, but you can also find pieces like the seaside photo above the fireplace at Urban Outfitters. Love this home? Keep an eye out for it on the market in Spring 2019 when the couple plans to move to their new build in Cotswold.